Myself and a few more wish to organize on the five principles of the United Front for Peace in Prisons (UFPP) in an old issue of Under Lock & Key 52 we came across. Peace first, because the oppressors have utilized petty conflicts to keep the people divided into classes. Unity second because as a unit we all come together 1 mind 1 goal: the destruction of oppression. Growth Because of its necessary role in our development into a true revolutionary society (and if our movement is not growing we are obviously decaying). Internationalism because we recognize that the U.$. 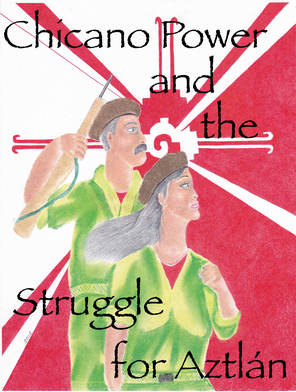 programs the lumpen with materialism so that oppression can thrive through pillaging poor people, and with internationalism we recognize the worldwide struggle. Independence to determine what is best for us and building program that serves the people righteously. MIM(Prisons) responds: Join these comrades in Louisiana to take up the United Front for Peace in Prisons (UFPP) five principles. Think about how they apply to your work, and what you can do to implement them in organizing against the criminal injustice system. See page 3 of every issue of ULK for details on the UFPP principles. There was an entry in ULK 53 I am compelled to address under the heading "Deadly Heat Victory in Louisiana." It was erroneously reported the 5th Circuit ruling in Bell v. LeBlanc, 792 F. 3d 584, mandated the temperature be maintained "at or below 88 degrees in Angola's death row buildings." Not so. The 5th Circuit held the U.S. District Court Middle District of Louisiana ruling encompassing all of Louisiana's death row overly broad, and therefore an abuse of the District Court's discreation, violation of the Prison Litigation Reform Act (PLRA). The 5th Circuit pared down the District Court's ruling to affect only the three named plaintiffs: Elzie Ball, Nathaniel Code, and James Magee. The only reason the 5th Circuit upheld the District Court's ruling as pertaining to these three plaintiffs is because all three are afflicted with pre-existing medical conditions that are susceptible to heat-induced complications. "Based on its findings of fact, we affirm the district court's conclusion that housing these prisoners in very hot cells without sufficient access to heat-relief measures, while knowing that each suffers from conditions that render him extremely vulnerable to serious heat-related injury, violates the Eighth Amendment. ... The district court also erred because it awarded relief facility-wide, instead of limiting such relief to Ball, Code, and Magee. ... Because the district court's injunction provides an unnecessary type of relief and applies beyond these three Plaintiffs, it violates the PLRA. Accordingly, the district court abused its discretion. ... We emphasize, however, that the finding of substantial risk regarding a heat-related injury is tied to the individual health conditions of these inmates." Ball v. LeBlanc, 792 F.3d 584, 596-600, FNG. The 5th Circuit opined Ball, Code, and Magee could be housed in cells closer to the death row guards' station, which is air conditioned, thereby cooler than the remainder of death row cells. Or, at most, a single death row tier could be air conditioned as a heat-relief measure for prisoners similarly situated to Ball, Code, and Magee. But as for requiring the Louisiana Department of Corrections to maintain temperatures below 88 degrees at Angola's death row altogether, the 5th Circuit judged that was not necessary to comport with the Federal Constitution. Moral being, if it sounds too good to be true.. perhaps MIM(Prisons) should submit to me these litigous tidbits for vetting and verification. MIM(Prisons) responds: Thank you to this comrade for setting the record straight, and helping to keep our subscribers from venturing down a wrong path in seeking their own relief from extreme heat, especially as summer is fast approaching. We rely on our subscribers to share their knowledge with us, whether it be their legal expertise, organizing experience, or theoretical understanding. Everyone should be making an effort to increase our collective abilities, which our oppressors try so hard to eliminate. To all comrades within the jurisdiction of the fifth circuit, there has been a victory ordering prison officials to maintain the temperature (heat index!) at or below 88 degrees in Angola's death row buildings. We have also filed to have our buildings cooled. The court has in so many words said that each prison must file separately in order to obtain relief. It is important to note that the heat index is always much higher than the actual temperature. Let us have the courts order the pigs to cool us off, while they are heated up by having to spend $$ from a strained budget; who likes bacon!!! "On the date of 12 June 2016 an offender by the name of Lawrence Goodeau committed suicide due to the confinement and heat issue being so harsh. Upon David Wade authorities doing their investigation they made multiple threats to offenders after their investigation about them letting investigators know about the confinement and heat issue that we are currently in court for. There have been other deaths here at David Wade at the hands of authority that have been swept under the rug multiple times. "At this point in time David Wade is under investigation for the cruel and unusual punishment by the Dept. of Corrections and other sources behind all of the violations by authority of David Wade. Right now offenders are at risk of a heatstroke because of the heat issue. The head Warden, Jerry Goodwin, who is now the regional Warden, has totally disregarded these issues as well." "All prisoners are housed in their cells 24-7 and get only one outside a week. All cells are approx 8x7 which do not meet ACA standards of sixty-four square feet of unencumbered space for prisoners....We do not have TVs or radios, nor access to any educational programming etc. We are limited to three books, and we endure eighteen hours of continuous bright light in the cells everyday, no exceptions! We must endure the elements of both cold and heat, with temperatures often times reaching triple digits. We are not provided any ice, and are forced to wear a heavy linen cloth jumpsuit from 5am to 4pm. All prisoners suffer the effects of the chemical agents that are used on us on a daily basis. Many prisoners are also placed on (strip cell) in a thin see through paper gown for thirty-day periods. During the winter months this is beyond torture." It's clear that conditions in Louisiana prisons are dangerous on many levels. The heat problem is serious and we applaud these comrades for their success in this battle. They demonstrate the value of taking on the criminal injustice system through various channels: legal battles can sometimes (rarely) be won, but protests behind bars and on the streets will always help with these fights. These comrades also demonstrate another important practice: using these battles to educate others. Several Louisiana prisoners have been writing to Under Lock & Key with these regular updates on the struggle, using their work to expose the criminal injustice system and as a tool of education behind bars. We can use these battles to build unity and educate others on the systematic nature of imperialist oppression and the use of prisons as tools of social control. This is a plea for help from all prisoners housed in Louisiana at David Wade located in Homer. This plea is for advocacy against the cruel and unusual conditions. No one in their right mind should let this suffering and these inhumane living conditions go on. The unconstitutionally tortuous conditions need to be stopped. This is solitary torture. We have been fighting with hunger strikes and cutting ourselves trying to make DOC make some changes here in our living conditions. We also have over 10 of us in court on all the confinement issues in the 19th District Court in BR. LA Case #647-104. We are trying to make this a class action but we need counsel representatives to help and to make our voice heard outside these walls. All prisoners are housed in their cells 24-7 and get only one hour outside a week. All cells are approx. 8' x 7' which do not meet ACA standards of sixty-four square feet of unencumbered space for prisoners. Many studies have been conducted showing these conditions to cause extreme psychological stress and trauma due to prolonged isolation periods. There has been much activism done in several states about the conditions of confinement. But not here in Louisiana where Albert Woodfox did 46 years at this jail in one cell, and he won a court case on the confinement issue but not a thing has changed here. It is past due for Louisiana to be recognized for oppressive and tortuous conditions imposed upon prisoners in this state. I would like to point out some significant differences between Louisiana and other states. Besides the similarities of torture and indefinite time done by prisoners, with no determinate criteria or programs for release or to get out of lock-down, we are living in far worse conditions. We do not have TVs or radios, nor access to any educational programming, etc. We are limited to three books, and we endure eighteen hours of continuous bright light in the cells everyday, no exceptions! We must endure the elements of both cold and heat, with temperatures often times reaching triple digits. We are not provided any ice, and are forced to wear a heavy linen jumpsuit from 5am to 4pm. All prisoners suffer the effects of the chemical agents that are used on us on a daily basis. Many prisoners are also placed on "strip cell" in a thin see-through paper gown for thirty-day periods. During the winter months this is beyond torture. These are only a few of the many conditions imposed by this prison administration. All continue to suffer and as many are illiterate and unable to express or articulate themselves, I speak on their behalf. We need help! We need change! We need publicity to expose this torture! MIM(Prisons) responds: This comrade is documenting conditions in the long term isolation units in Louisiana. This battle is part of our fight to shut down prison control units across the country. As this writer explains, these cells are physical and mental torture. The long-term effects can be devastating. Our incomplete data from the state of Louisiana indicates that there are over 1000 long-term isolation units in that state. And we know that solitary confinement is used as a tool of control for political activists, as Louisiana infamously held the Angola 3 (who had formed a chapter of the Black Panthers) in such conditions longer than any other U.$. prisoner, as the comrade alludes to above. Join this comrade in our campaign to expose and put an end to this torture! On the date of 12 June 2016 an offender by the name of Lawrence Goodeau committed suicide due to the confinement and heat issue being so harsh. Upon David Wade authorities doing their investigation they made multiple threats to offenders after their investigation about them letting investigators know about the confinement and heat issue that we are currently in court for. There have been other deaths here at David Wade at the hands of authority that have been swept under the rug multiple times. At this point in time David Wade is under investigation for the cruel and unusual punishment by the Dept. of Corrections and other sources behind all of the violations by authority of David Wade. Right now offenders are at risk of a heatstroke because of the heat issue. The head Warden Jerry Goodwin, who is now the regional Warden, has totally disregarded these issues as well. We need a lot of help with these issues here at David Wade. We need everyone possible to get in touch with the governor John Bel Edwards at his office by phone at 225-342-9740 or by fax at 225-342-3095. 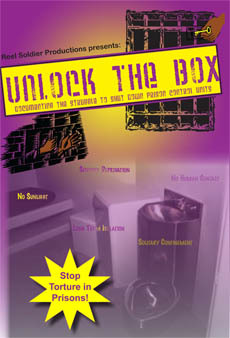 Contact the advocate at 225-383-1111 or the Times at 504-826-3595 or go on the web-site at www.correctionstatela.com. Thank you for helping us protest these issues. Thank you for your time. Recently an exposé of the private prison Winn Correctional Center in Winnfield, Lousiana, run by Corrections Corporation of America (CCA), was published in Mother Jones. (1) The article explains conditions which are completely inhumane, and many of the atrocities are linked to the CCA's drive for profit. "Around the mail room, there are bulletins posted of things to look out for: an anti-imperialist newsletter called Under Lock and Key, an issue of Forbes that comes with a miniature wireless internet router, a CD from a Chicano gangster rapper with a track titled 'Death on a CO.'"
Curiously, Winn mailroom staff consider political education just as dangerous to the prison environment as electronics and death threats. This blatant censorship is not unique to this facility, and is not unique to private prisons. There are many state-run facilities all across the country where we know our mail is censored in a similar manner. Unfortunately we don't have an investigative reporter inside, and, only being able to communicate with our comrades through the mail, we are not able to combat this censorship or expose it. We post known censorship incidents on our website, but the reality is that we will never know what happens to approximately two-thirds of the mail we send in. In reading the exposé, one might start to believe this private prison is different from public prisons. That's one of the major downsides of this piece: it leaves the reader wondering, assuming that state-run facilities are inherently better. Yet we post many articles from our correspondents inside showing that state-run facilities can be just as bad as Winn Correctional Center: lack of appropriate medical care leading to long-term health problems, lack of programming, arbitrary lockdowns, excessive use of force, lack of discretion in hiring personnel, and the list goes on. To campaign against private prisons is to assert that state-run prisons are acceptable. It legitimizes the United $tates government as an impartial arbiter. It says that it isn't the prison that's bad, but instead just the aspect of private ownership. Yet MIM(Prisons) sees the prison struggle in the United $tates as one against social control generally — whether private or state-run. 1. Shane Bauer, "My Four Months as a Private Prison Guard," Mother Jones, July/August 2016 issue. 2. See our updated article on the DOJ's announcement against private prisons: MIM(Prisons), "Acknowledging DOJ Report on Private Prisons," August 2016.